Beyond Compare is Multifaceted. 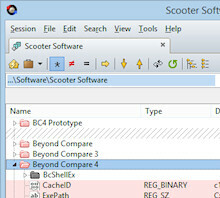 Beyond Compare includes built-in comparison viewers for a variety of data types. Compare .csv data, Microsoft Excel workbooks, and HTML tables in a Table Compare session. Compare images in a Picture Compare session. This is a comparison of two source code files. Specific differences are marked with red text, and the entire line is given a light red background to indicate the presence of a difference. Gutter buttons and hotkeys let you quickly copy sections of code from one side to the other. 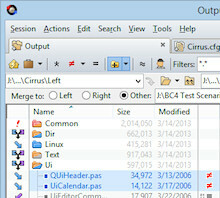 This is a comparison of three files at the top and the merged, editable output at the bottom. The center file is the common ancestor of the two later versions. Left and right changes are automatically included in the output. Delimited data files can be compared cell-by-cell in a Table Compare session. Data can be sorted and aligned on key fields, and unimportant columns can be ignored. The Picture Compare view shows images side-by-side with their differences highlighted. 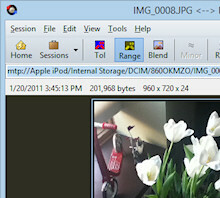 Various types of image files can be compared. 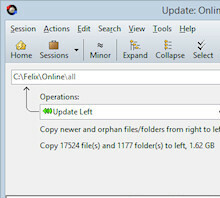 Compare folders side-by-side in a familiar Explorer style. Differences are highlighted in color. A dedicated Folder Sync session is useful for synchronizing folders. 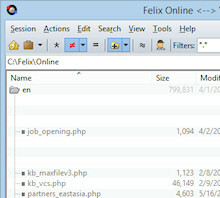 The preview pane clearly shows the operations that will be performed. 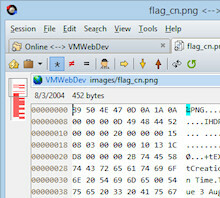 The Hex Compare view shows differences byte-by-byte in a typical hex dump layout. 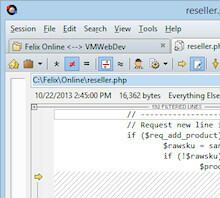 The Registry Compare view compares local and remote live registries as well as registry exports. 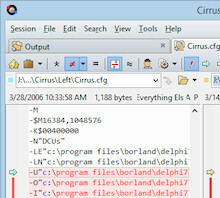 The Version Compare view compares executable files (such as .exe and .dll) and shows differences in version information. 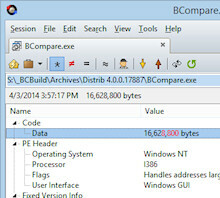 Version Compare is a Windows feature. 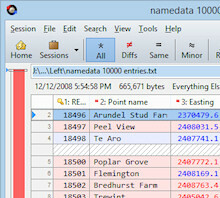 The MP3 Compare view compares mp3 files, showing differences in tags.